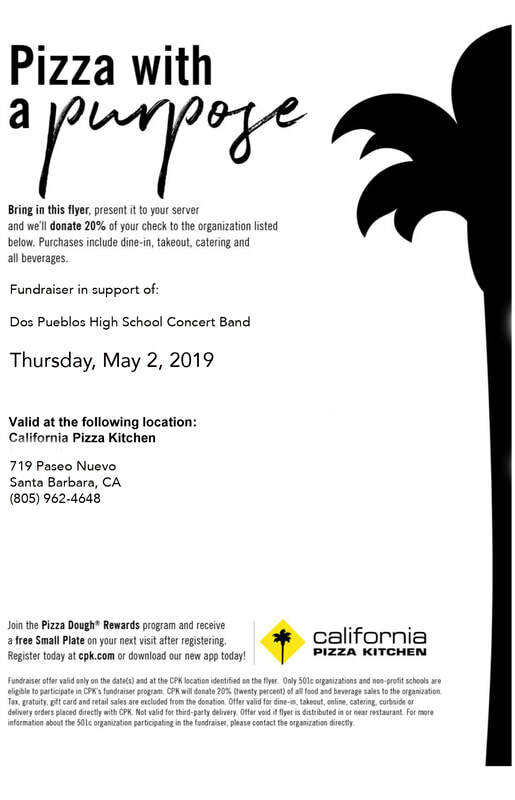 Join the Concert Band at CPK on Thursday, May 2! Print and bring the flyer, or show it on your phone! 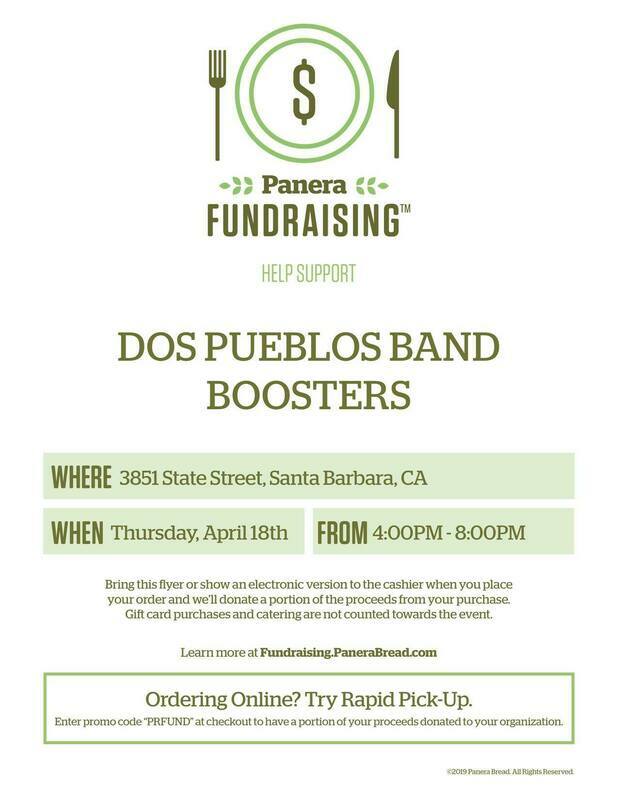 The DPHS Concert Band will play at Downtown Santa Barbara First Thursday on May 2 from 5:30- 7:30 p.m. This event serves as the kickoff event for fundraising for the Carnegie Hall trip in the fall! Congratulations to the Percussion Ensemble & Winter Guard for a terrific season! The Percussion Ensemble and Winter Guard joined other local schools this evening for a Showcase performance for family and friends. Upcoming DPHS Instrumental Music Events!